Whoops. I was so busy cleaning the balcony yesterday that I forgot about Harvest Monday. Oh yeah, and I also have chives now. 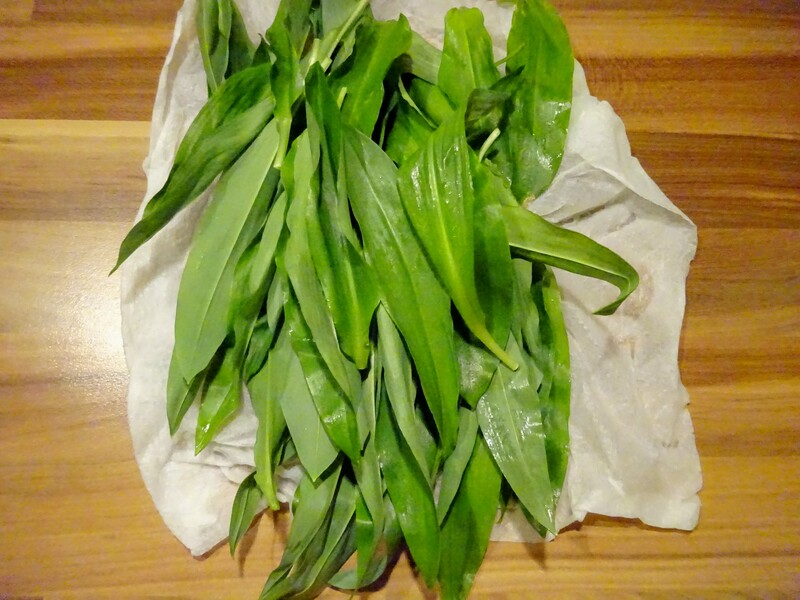 I’d forgotten how much I love wild garlic in my salads or on bread, with cream cheese or just butter. They grow so close to the Nettle Nest, and yet I was always too lazy to go picking before now, and now the flower buds are already coming up, which means the season is almost over. 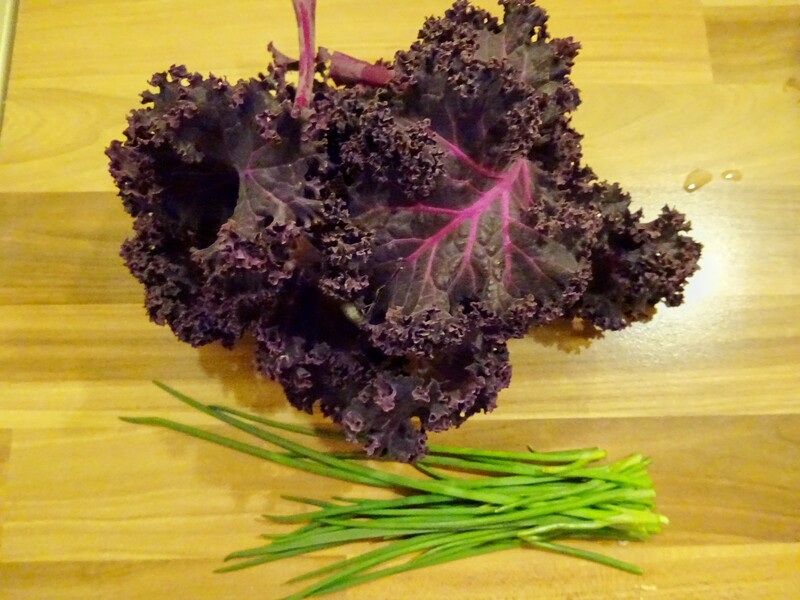 The red kale is so pretty. 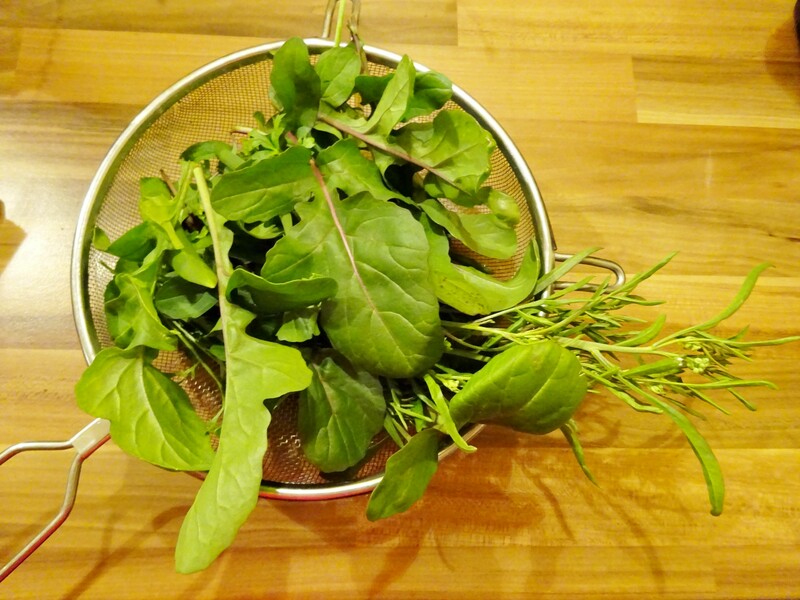 I’ve been having to buy my kale from the market, which isn’t nearly as nice. Yeah, I can imagine – it’s so frustrating when you have to buy things that you could grow yourself. If the weather would cooperate, or in my case, the community garden people.